A labor of love? A frustrating experience? Joy? Sorrow? Wonderful? Not so wonderful? The process of writing a book and then seeing it through to publication has been and continues to be all of the above. 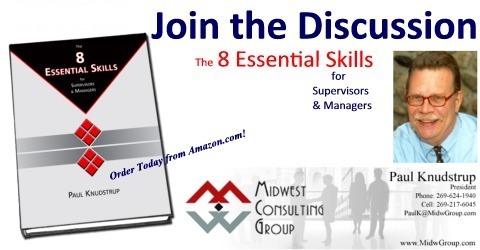 This is the area where I talk about the whole process of creating The 8 Essential Skills for Supervisors & Managers. For those of you who have been there, done that, as well as those who have a book inside them waiting to be let out, drop in a comment and join the conversation.